What is the purpose of the A4 Document Cascading System? When it comes to managing a business, you have a lot to keep up with, including keeping your team organized and on task with their various workloads. 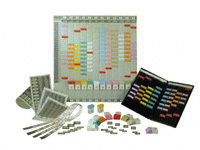 The Workplace Depot offers a wide variety of attractive wall planners and convenient t-card systems that help you to streamline workers’ tasks and keep all team participants on track with assignments. Where can the A4 Document Cascading System be used? Utilize t-cards in health care settings, construction companies, accounting, and with access control points. Who might use the A4 Document Cascading System? By using the t-card system, employers and fellow employees can stay updated on who is where with jobs and what still needs to happen. Keep track of who is onsite and offsite, improve resources and efficiency, and keep track of production processes with this organization tool from the Workplace Depot. 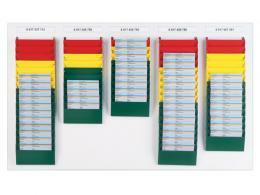 The A4 document cascading system features a cascading display rack for displaying A4 documents and includes steel pockets with a visible edge. Choose from portrait format (68mm) or landscape format (45mm) in order to suit your company’s needs. 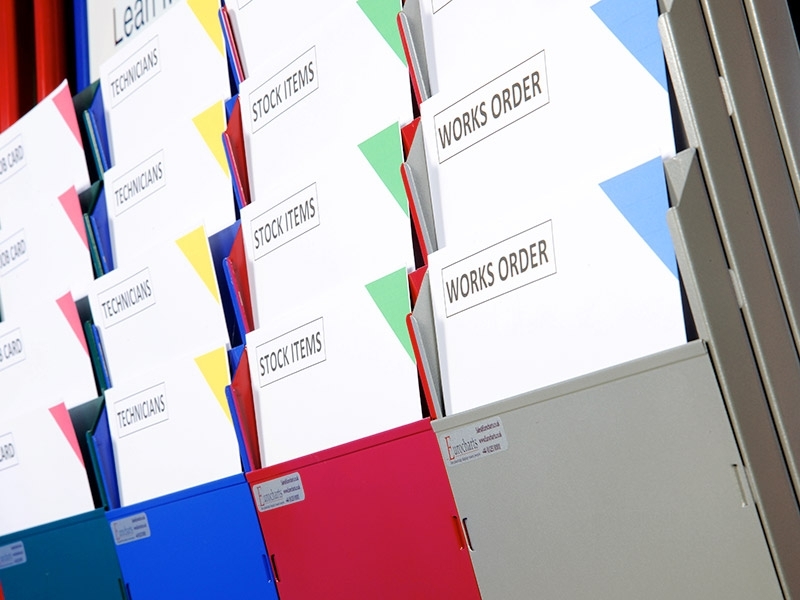 The bottom two pockets of your document system must be the same colour, but you can pick any colour combination for the remaining pockets. Rest assured that your t-card system comes with a one-year warranty on parts and labour, and delivery is quick and convenient. The A4 document cascading system is made proudly in Britain and comes with a price promise in order to ensure you are receiving the very best deal around. The wide variety of wall planners and t-card systems we offer are designed to help you run your business smoothly and in an organized manner. By offering a combination of designs, pockets, and colours, we are confident you will find the high-quality products you need for your company and employees. 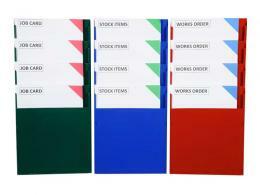 The document cascading system is one more example of how the Workplace Depot offers everything for the workplace.